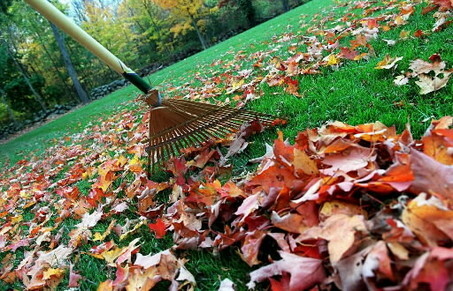 Leaf clean-up and removal is essential for growth of a healthy lawn. It also helps with proper germination of new grass in the spring. The basic element grass needs to grow are moisture and sunlight. Fallen leaves filter out a lot of both from the grass below. As well as keeping the proper amounts of fertilizer/winterizer to properly cover the turf area resulting in an unhealthy lawn or landscape bed. With our comprehensive program of leaf removal, we can help you achieve that showcase lawn you have always wanted and allow it to thrive. 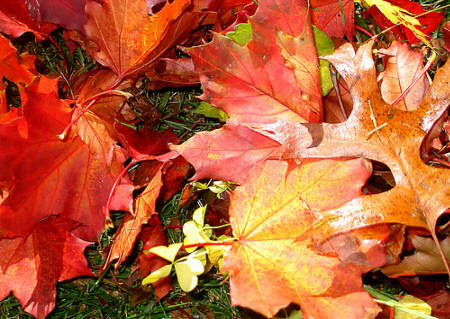 Keeping your yard looking good is only one of the reasons to maintain a constant leaf removal program. Wet leaves on driveways or sidewalks can cause potential risk to family members or friends, and pedestrians to slip and fall. This is one of the reasons why it is not wise to let fallen leaves build up. 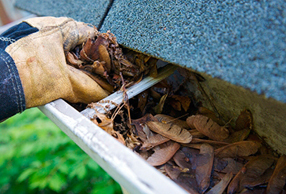 Ideally the time to clean up leaves in most areas is around Halloween or late September depending on your area and the type of trees that you have in your yard. Having them cleaned up around the holidays when pedestrian traffic is highest, due to the holidays, will considerably limit the risk of injury. Raking up your own leaves is very time consuming and without the proper equipment can be very exhausting. Let alone trying to find the time to get out there and do it properly every week, or even just one time. Getting in and around all of your landscaping and nooks and crannies of your house and yard takes special equipment that can be costly, and only used once or twice a year. Many people contract a specialist and a team of professionals to get the job done and keep thier lawns looking tip top all year. Here at The Lawn Guy we take a lot of pride in our work and have the knowledge, equipment, and experience to get the job done right and efficiently, and provide you with expert lawn and landscaping services.